Kildare Village in association with Cartoon Saloon is creating a free family cinema experience to celebrate St. Patrick’s Day. Guests will walk the green carpet into a cosy family screening area with rugs, cushions and complimentary popcorn before enjoying a feast of short animated films including the award winning animation, The Secret of Kells. To coincide with the screenings, Kildare Village will be hosting workshops for 9 to 12 year olds. During “An Introduction to Animation”, children will create their own animation character and storyboard and bring it to life in a cartoon flick-book. The ‘group’ animation will be available for viewing on YouTube following the workshop. The Secret of Kells is Cartoon Saloon’s first feature film and was directed by Tomm Moore. Nominated for an Academy Award ® for “Best Animated Feature”, the film has screened and won awards in major festivals worldwide. This vibrant animation is a spirited retelling of the provenance of Ireland’s most cherished artefact, the Book of Kells. With the Viking hordes approaching, the monks of Kells are forced to turn their attention from transcribing manuscripts to building barricades. The future of the precious book is in jeopardy and it falls to Brendan, young nephew of the abbot Cellach, to save the day. Festivities in Kildare Village begin on St. Patrick’s Day itself, Thursday 17th March with a host of short animated films from Cartoon saloon shown hourly between 11am and 4pm. 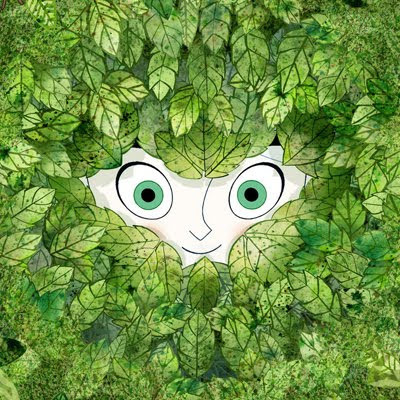 The Secret of Kells, a bewitching animated fairytale, will have a green carpet screening daily at 2.30pm while workshops will take place from 11am until 1pm daily from Friday 18th until Sunday 20th March. Celebrations will continue all weekend with workshops and activities for the whole family to enjoy.